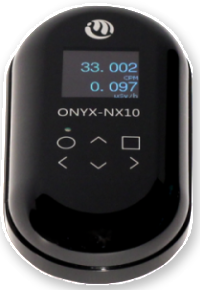 Conveniently and automatically collect radiation data, even as you sleep. Simultaneously collect other important data including time, date, and GPS coordinates. View data on your phone, tablet and watch. View your collected data on a map. Responsibly share your data with specific people or with your team – or the world. Now you can even receive discrete haptic notifications on your wrist if radiation levels become elevated (Apple Watch). If you want to manage and view large data sets, you can import them into Google Earth, Excel, Numbers and most popular GIS and analytical apps. More information on using our apps and instructional videos will appear here soon. Please check back with us. 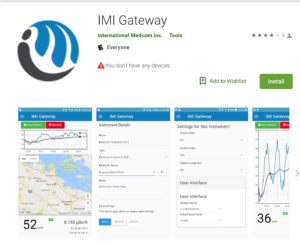 For Android users, please find our IMI Gateway App here, at the Google Playstore. For iOS users – Apple Phone, Apple Watch, iPad – please contact IMI here and give us your email address. We will send you an invitation to receive our beta version through Appleʻs Test Flight program. We expect our Inspector Alert App to be available at the Apple App Store very soon. IMI Gateway was originally developed as a Chrome App, which worked on major platforms: Mac, Windows, and Linux. Since Google closed the Chrome Store we have been adapting it for both Mac OS X and Windows 10. For those operating systems please contact IMI to receive our beta version for your operating system. IMI does not share your email address or other personal information. Our apps are designed to share information as an option, if you choose to share. IMI does not collect, harvest or share information on our customers or app users. If you receive any email from IMI regarding products or updates you will be given an option to opt out of future emails.